HDF can make buying your first home affordable with our first time home buyer education and downpayment assistance programs. We are there every step of the way to help you succeed in buying your new home! 2. I/We have NOT had a bankruptcy in the last 4 years. 3. I/We have NOT had a foreclosure in the last 7 years. 4. 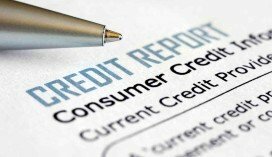 I/We DO NOT have any knowledge of charge-offs or current past-due accounts on my/our credit report. • Good payment history and debt management. 6. I/We DO NOT have collections/judgments greater than $5,000. 7. I/We are U.S. citizens or permanent resident aliens- view our list of acceptable visas. 8. I/We are Income Eligible for HDF programs. Income eligibility is determined using household income. Please review the Income Limits for counties in SmartMove Connecticut, SmartMove New York, and our other programs in both New York and Connecticut. If any of the above statements are false, HDF is not currently your best option. If all of the above statements are true, click below to create a profile and get started with HDF! Please check HDF’s list of requirements before creating an account. To ask a specific question about one of our programs, please select “First Time Homebuyer Program” on our contact form and we will get in touch with you via email. For a quick overview of our programs and services, watch our video below. At HDF, all clients work one on one with an adviser to chart a path to homeownership from start to finish. Together you will develop an action plan to increase savings, reduce debt, and identify programs that work for you. Most importantly, all of HDF’s first time home buyer advice is completely free of charge! To get started, use the link above to create a profile and securely upload your documents. For HDF’s purposes, a “first time home buyer” is someone who has not owned a home at any time over the last 3 years. Certain other restrictions may apply. On top of HDF’s free advice, first time homebuyers can take part in a number of our downpayment and closing cost programs. This is because many of our loan products are stackable, helping make homeownership affordable and sustainable. See the full list of available loan products below to discover what HDF can make possible for you! Local Downpayment Assistance Programs Additional loan programs available to people buying in specific towns and cities (amounts and terms vary). Home Buyer Education classes are open to everyone, whether you’ve already applied for a mortgage or not. No matter where you are in the home buying process, this 8-hour course will help you on your way. These classes are mandatory for CHFA loan applicants and may be required for other loan programs as well. All HDF borrowers in our First Time Homebuyer Program must also complete an 8-hr Home Buyer Education Class before closing. To learn more about your options and register for home buyer education courses, visit our homebuyer education page.